Last Wednesday I went along to the Look Again SS14 press day, showcasing their new style and collections for the new season and to introduce Stacey Solomon as the new face of Look Again. The whole room was colourful and sparkled with disco balls and there was a tempting spread of cupcakes. Before we left we were lucky enough to pop into the gifting lounge to pick a item of our choice along with a goodie bag. I picked a pair of cute white Sony Headphones. The gift bag was filled with beauty treats, a beach towel and nibbles. 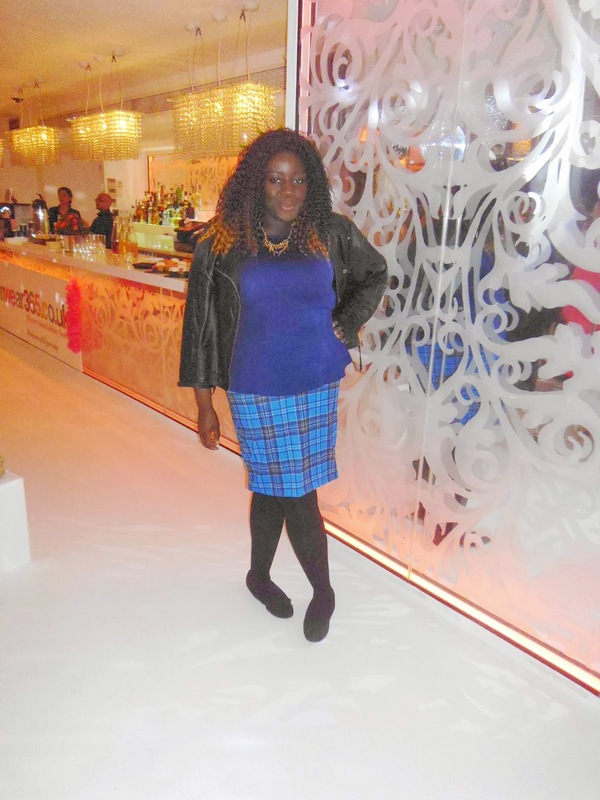 I wore a peplum top and body con skirt both from ASOS and a leather biker jacket from Very. Thanks ever so much Look Again and Bright Light PR for putting on an amazing event.